New face at the barn! 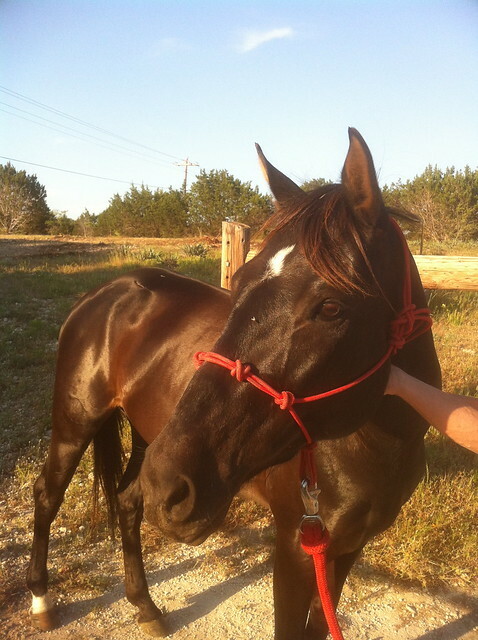 One week ago, we went to Briggs and picked up Stormy, a 9-year-old paint mare, 15 hands. She is very beautiful and has a willing but calm spirit. Frank fell in love with her and decided to buy her from Marci. When Frank rode her, she did everything he asked. We brought her home and Cochise and Holly were very aggressive to her. Really, it was mostly Cochise. Click on the link below to see the video. Stormy was scared to death of him!! Frank made the decision to take him back to his owner, Heather Davis, in Gatesville. Since Cochise is gone, Holly and Stormy have gotten along with no problems; they are calm together but Holly asserts herself as the lead mare. We’ve been riding the two girls and they are doing great. When Frank works Stormy in the groundwork training, she does her best to do what he wants; she is a quick learner. Sherry came out Saturday and trimmed her feet and said she will put shoes on her front feet in about 5 weeks. 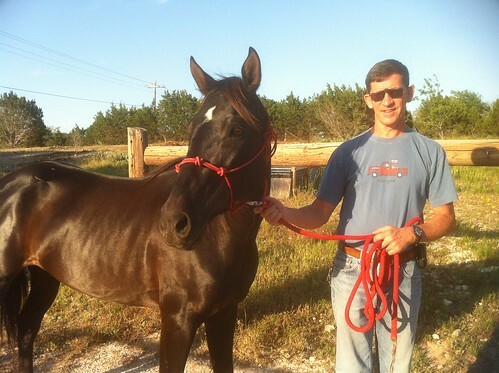 I think Stormy will work out to be a great horse to ride around the pasture and on trail rides. Posted in Horses | Comments Off on New face at the barn!